Lindsay Poole, New Zealand Tree Grower February 2007. The mainstream of settlers to New Zealand following Maori were so numerous that extensive inroads were soon made into the fine native timber tree stands that grew scattered throughout the country. These trees supplied high quality, durable timbers for housing and other building and settlement needs in villages and townships. Communication was also helped greatly by the use of wood in the construction of railways and roads, including wooden bridges. Once forest clearing for timber began, much more clearing then followed for agriculture. During this time, New Zealand also contributed to a large and increasing world trade in high quality woods. Kauri, for example, was sought to assist settlement in many other parts of the world, and was used for ship building by expanding navies. The comprehensive use of wood amongst settlers encouraged them, and particularly their governments, to examine the possibilities of introducing some of the most promising species from other countries. 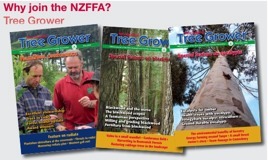 New Zealand’s early European inhabitants started to investigate various possible tree introductions, but the major efforts were part of the development task of an official New Zealand Forest Service, beginning in the early 1920s. Importing and testing forest tree seed was one of the activities that built up in the Rotorua Whakarewarewa nursery. When I was employed in the nursery, around 1926 to 1927, one of my jobs was to keep a seed store which housed both locally collected and imported seed lots. I had to make sure that all seed was tested in the nursery before distribution to plantations. The exceptional forestry and timber qualities of redwood persuaded investigators from other countries looking for tree introductions to examine redwoods more closely. As far as New Zealand was concerned, these investigations happened at the same time as those into radiata pine. Trials of radiata pine were, of course, highly successful. The establishment and growth of radiata was very much less complex than that of redwood. Radiata pine ultimately won the competition to become New Zealand’s dominant species because its timber was so easy to handle and could service a wide range of uses at a relatively young age. 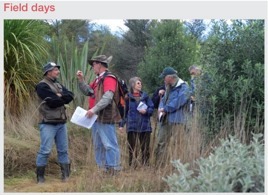 Lindsay Poole is a former Director General of the New Zealand Forest Service.